Publicat pe 24 august 2014	de Cristi M.
The Lucian Blaga National Theatre in Cluj-Napoca, Romania is one of the most prestigious theatrical institutions in Romania. The theatre shares the same building with the Romanian Opera.The theatre was built between 1904 and 1906 by the famous Austrian architects Ferdinand Fellner and Hermann Helmer who designed several theatres and palaces across Europe in the late 19th century and early 20th century, including the theatres in Iaşi, Oradea, Timişoara and Chernivtsi.The project was financed using only private capital. 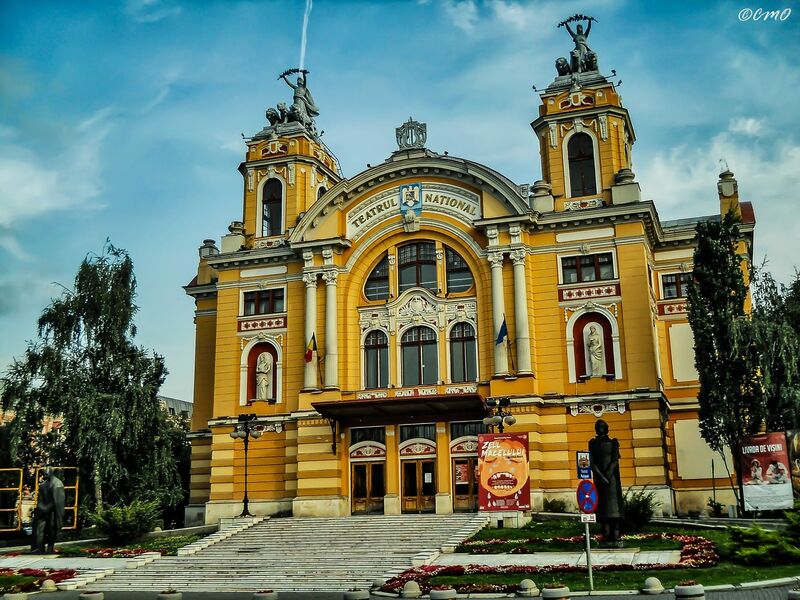 The theatre opened on 8 September 1906 with Ferenc Herczeg’s Bujdosók and until 1919, as Cluj was part of the Kingdom of Hungary, it was home to the local Hungarian National Theatre (Hungarian: Nemzeti Színház). The last performance of the Hungarian troupe was held on September 30, 1919 and presented Shakespeare’s Hamlet: „Horatio, I am dead; / Thou livest; report me and my cause aright / To the unsatisfied.”Since 1919, the building has been home to the local Romanian National Theatre and Romanian Opera, while the local Hungarian Theatre and Opera received the theatre building in Emil Isac street, close to the Central Park and Someşul Mic River.After the Second Vienna Award the building was again the home of the Hungarian Theatre. On 31 October 1944 the Romanian and Hungarian actors celebrating the freedom of the city held a common performance, the revenue being donated to the Russian and Romanian wounded soldiers. Acest articol a fost publicat în Photos / Quotes și etichetat cluj, cluj napoca national theatre, cluj theatre, Cluj-Napoca, romania. Pune un semn de carte cu legătura permanentă.